Recounting the final year of the Civil War, this classic volume by Bruce Catton won both the Pulitzer Prize and the National Book Award for excellence in non-fiction. 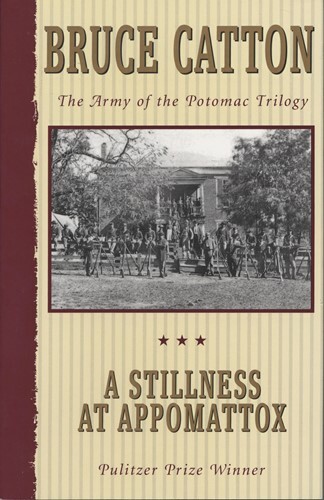 In this final volume of the Army of the Potomac Trilogy, Catton, America's foremost Civil War historian, takes the reader through the battles of the Wilderness, the Bloody Angle, Cold Harbot, the Crater, and on through the horrible months to one moment at Appomattox. Grant, Meade, Sheridan, and Lee vividly come to life in all their failings and triumphs.